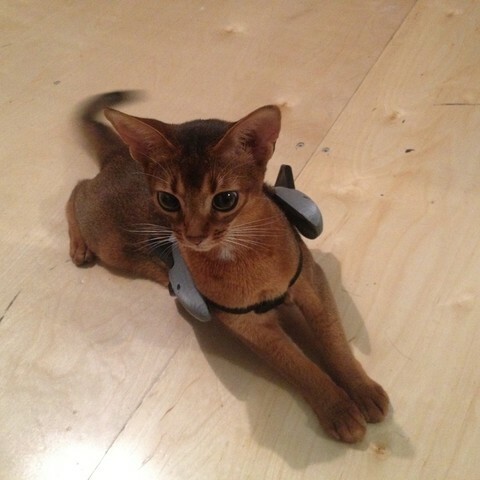 Ayumi is our abyssinian cat. We were bored and wanted to make something for her. 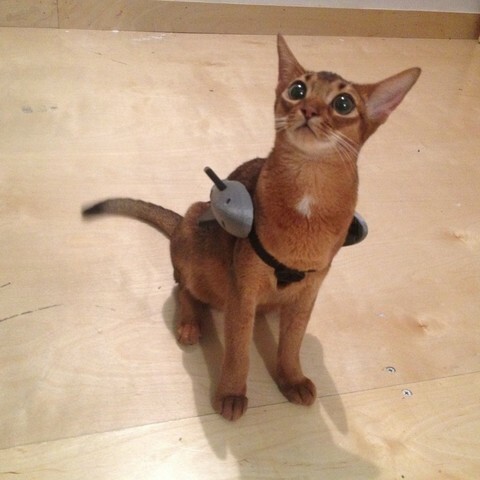 Get a Premier Kitty Harnesses. Should work for a dog too.